ORGAN THING OF DAY: Today there is a need to focus on the fact that black is black and Godzilla Black are threatening more none more black activity when the mighty fine band play down the road on Saturday (well down the road if you live a stones throw from the venue, you probably need to use public transport or Pan Am or some such thing) The Black play the Sebright Arms this Saturday (5th Sept), that’s Hackney to you and me. Would you miss this if we didn’t do it though? Yeah, sure, Organ is a thing from the last century now, a time of cassettes and photocopies and stamps and low-budget black and white flyers being the only way to spread the word on art shows or a decent gig or where that festival is happening, would you miss all this though? Well would ya? 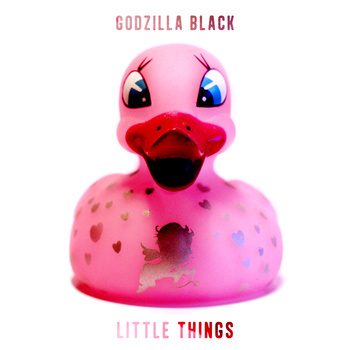 So here you are the blackest of black treats, Godzilla Black are threatening a new album in early 2016, lots of gigs this Autumn, “We are particularly excited to be playing with Italian avant rock gods ZU in Camden in November. Tickets are available from our website, including a free download of our album The Great Terror and a bundle with the vinyl version. Follow the link below to our merch shop for tickets”.